BAKERSFIELD, Ca. 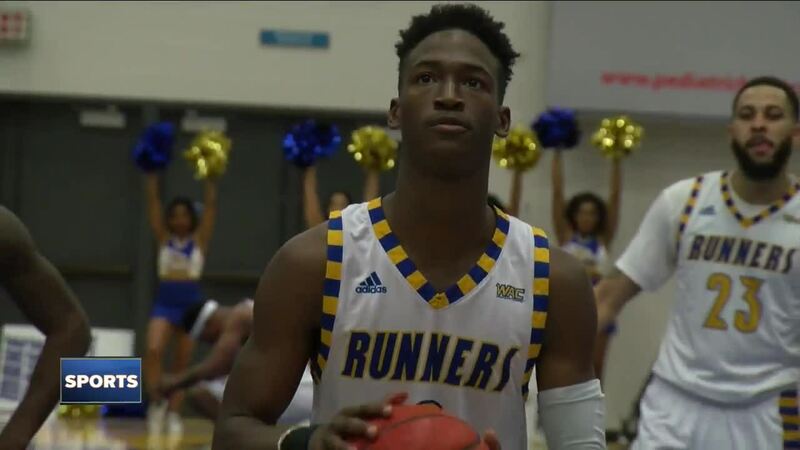 — Another home game at the Icardo Center and another wild finish for the Cal State Bakersfield men's basketball team. Jarkel Joiner lifted his team to a 74-73 win, nailing three late free throws, over UMKC on Thursday night. Joiner put his focus on display while also tying for team-high points with 16. Justin Elder-Davis also put up 16 points and led the team in rebounds with eight. This big finish win comes after CSUB beat Utah Valley with a buzzer-beater by Taze Moore. The Roadrunners maintain their perfect record at home, improving to 7-0 at the Icardo Center and 4-1 in conference play. They hopped right back into the lead in WAC standings. They'll host Chicago State on Saturday.